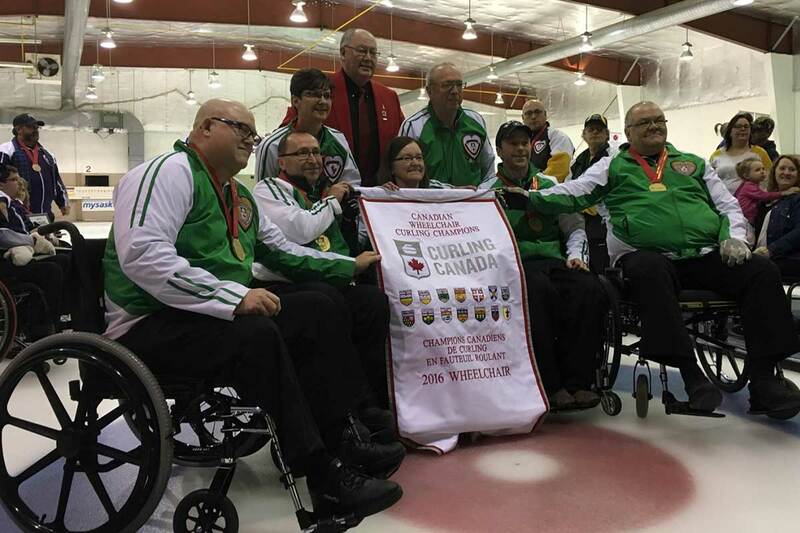 Wheelchair curling is an adaptation of curling for athletes with a disability. it is actually very similar to “ordinary” or (able-bodied) curling. The rules are close to the same but do have differences. 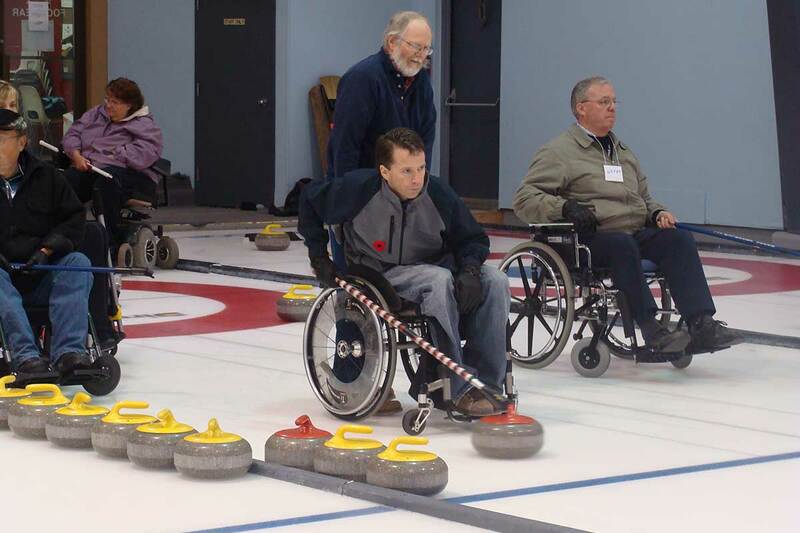 Wheelchair curling is played with the same rocks and on the same ice as regular curling, though the rocks are delivered from a stationary wheelchair and there is no brushing. Rocks may be delivered by hand while leaning over the side of the wheelchair, or pushed by a delivery stick. 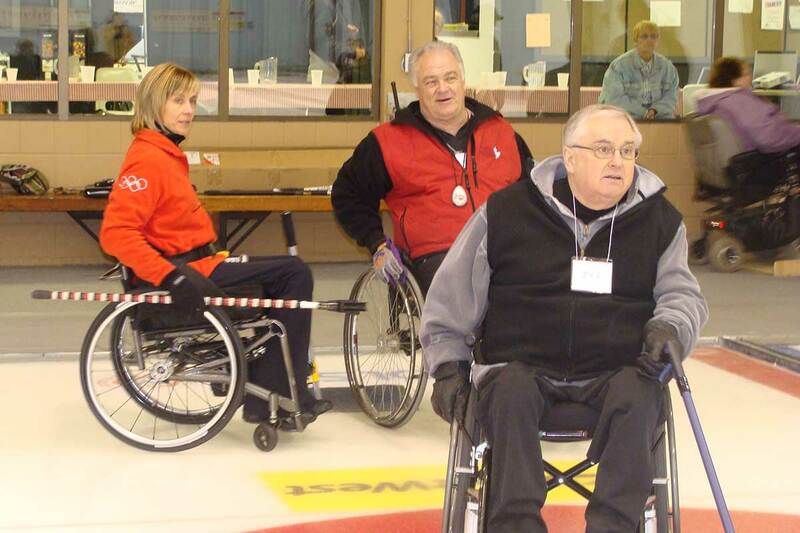 Clinics can be coordinated at a curling club in your area to give the opportunity to try Wheelchair Curling. Curling for the Blind and Visually impaired is essentially the same as the game played by sighted individuals. The difference is that each team has a sighted guide to assist the players in their delivery. The guide first describes the location of the rocks in the house and the type of shot that the skip has requested (guard, draw, takeout). The guide then assists each player in delivering his/her rock along the line that is necessary to make the shot. Depedning on the degree of the visual impariment of the player, the guide may hold the broom at a short distance in front of the player, set a flashlight on the line of delivery or communicate with the player to ensure that he/she is lined up correctly in the hack.